The MECHATRONICS & NOLCOS 2019 Conference will be hosted by TU Wien. 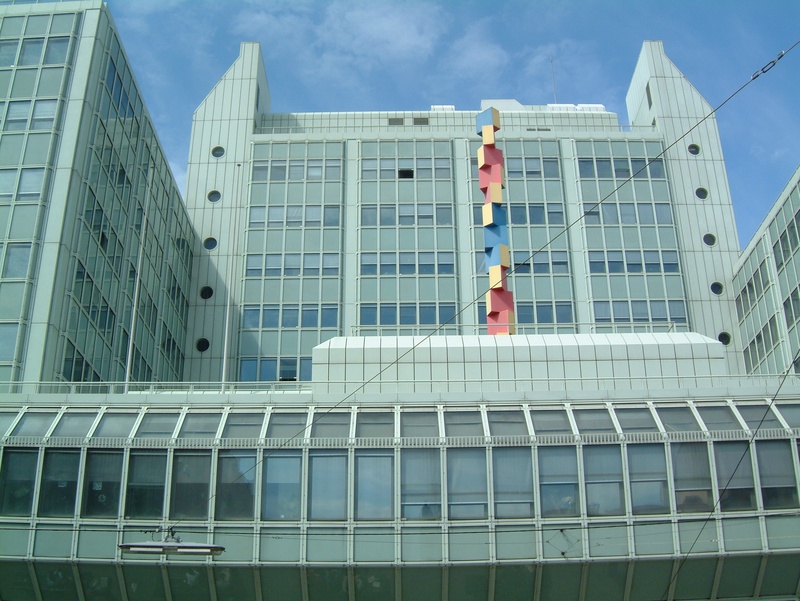 TU Wien is Austria’s largest scientific-technical research and education institution and is located in the city center of Vienna, the capital of Austria. The conference will take place in lecture halls in the Freihaus Building of TU Wien. The registration desk will also be located in the Freihaus Building. The Freihaus Building can be found at Wiedner Hauptstraße 8-10, 1040 Wien (see the pin in the map below). The conference location can be reached with the following public transport means: metro line U1 (station “Karlsplatz”), metro line U2 (station “Karlsplatz”), metro line U4 (station “Karlsplatz”), tram line 1 (station “Resselgasse”), tram line 62 (station “Resselgasse”). Tickets (fee for a single ticket is 2,40 €) can be purchased in the online ticket shop, at ticket vending machines in metro stations, and at tobacconists. For more information on tickets please check the website of Wiener Linien. The conference location is in walking distance to various hotels as well as to many cultural attractions, e.g., the imperial palace Hofburg, the Vienna State Opera, St. Stephan’s Cathedral, to mention a few of Vienna’s attractions. Further, shopping streets and pedestrian zones, offering a variety of shops and restaurants, are nearby the conference location. Schönbrunn Palace, one of Europe’s most impressive Baroque palace complexes, is surrounded by an enchanting park, the Palm House, the Gloriette and a zoo. Schönbrunn Palace is shown in the banner of this homepage. Belvedere Palace, the summer residence of Prince Eugene of Savoy, is home to the world’s largest collection of Klimt oil paintings including his most famous work, The Kiss. Hofburg, for more than 600 years the official residence of the Habsburg emperors, contains today important museums and important state rooms. St. Stephan’s Cathedral, Austria’s most eminent Gothic edifice, houses a wealth of art treasures. Spanish Riding School is home to the famous Lipizzan ballet showing riding skills of the highest order – from pirouettes to caprioles. Vienna State Opera is considered to be one of the most important opera houses in the world that offers the largest repertoire, ranging from Baroque to the 20th century.